Please note that this is an archived post and information may be outdated. Blogging once was a very popular thing in North Carolina. Greensboro, nicknamed Blogsboro by the Los Angeles Times, called the online craze our "second revolution".Things have changed, bloggers have come and gone (Jeff Martin, David Hoggard, etc). A few of us have stuck around. I've been blogging in some form or fashion since 1999, but didn't really join the local community until around 2006. Today I run several websites and blogs, two of the most popular are this one and Nosh (www.noshcookbook.com) an online recipe blog. I've even published a couple books based on my travels and blogging. Something I've thought about lately was that I should compile a list of local (quality) blogs online. 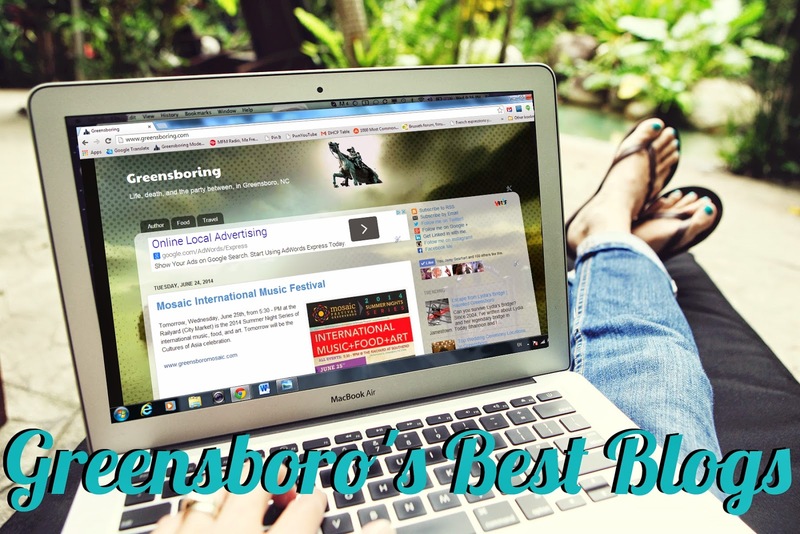 Roch has been running Greensboro 101 (an aggregator) for sometime, but with respect, I'm going to list the people I read on a daily basis, the bloggers and local web celebrities I deeply respect. 10. Dr. Joe Guarino www.triadconservative.com This blog focuses on conservative issues in culture and local politics written by a practicing physician.